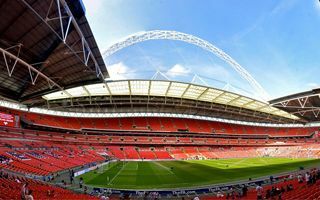 They’re the newly-crowned English champions, so what can they want more? 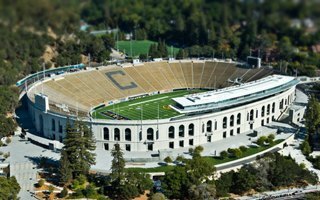 How about a larger stadium and world class training academy? Both are in progress already, so have a look! 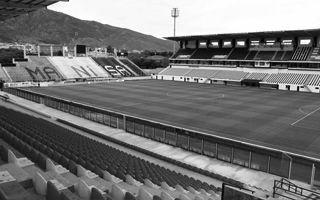 30.05.2014 Athens: AEK finally close to groundbreaking? 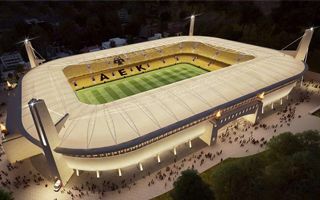 Plans of launching construction in January 2014 are already exceeded significantly, but latest news by GreekReporter.com suggest AEK may soon see the desired stadium break ground. 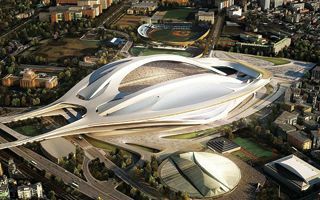 In March the Supreme Committee dismissed all entries from top architectural practices, claiming none met the expectations. 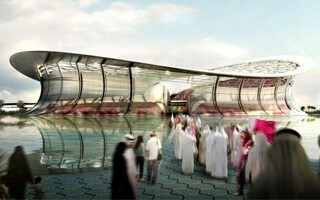 Now Qataris invited some of them to workshops and now saw entries from four shortlisted offices. … and we regret this a whole lot! 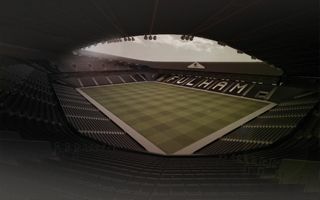 A unique vision of redeveloped Fulham stadium was created by Mariusz Sępek. 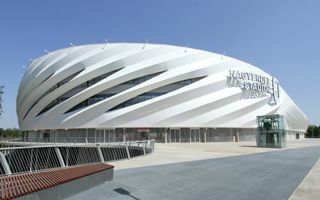 The Polish author presented a bold approach at connecting heritage with the future. 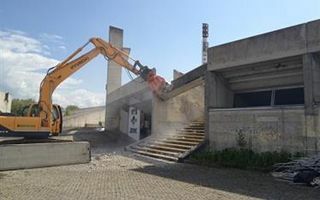 27.05.2014 Prague: Slavia to lose their stadium? 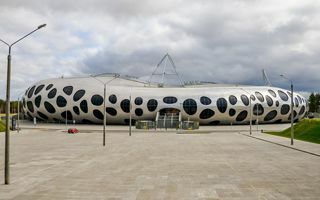 New owners of Synot Tip Arena filed a lawsuit to cancel current lease with Slavia. 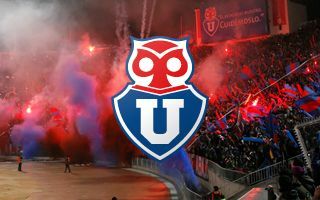 The club in turn assures they have a solid contract, according to aktualne.cz. 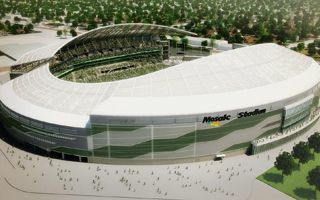 When Regina announced the new stadium back in 2012, it was considered to possibly include roof over the pitch. This turned out far too expensive, might double the price tag. 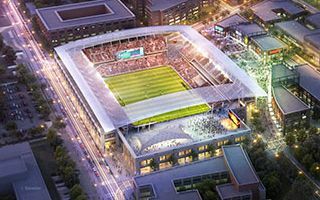 D.C. Mayor Vincent Gray announced he reached an agreement with DC United. 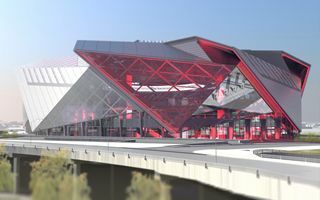 He also submitted legislation to the D.C. Council that would outline his plan to build the desired stadium. 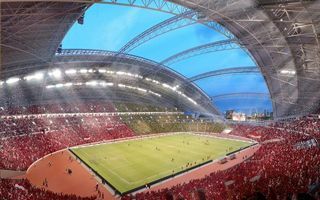 The ‘Causeway Derby’ between Singapore and Malaysia was to inaugurate the new national stadium of Singapore. 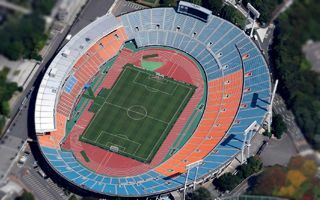 But the game is now postponed indefinitely to give time for preparation. Heavy machinery enters the northern BMW Park in Jakarta, but it’s not the main contractor’s equipment yet. 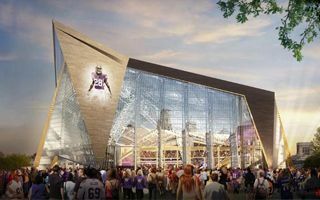 So far only public authorities are leveling the site for future 50,000-capacity stadium. Zulte-Waregem has qualified for a Europa League spot. 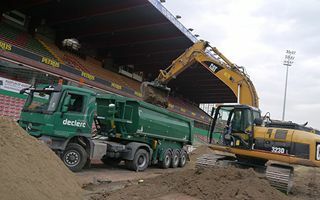 That’s why just one day after season ended works began at Regenboogstadion. Philips released new of a three-year contract with Bayern. 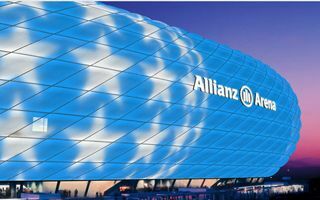 As part of the deal the Dutch company will completely rethink Allianz Arena’s external lights, making the stadium even more impressive. 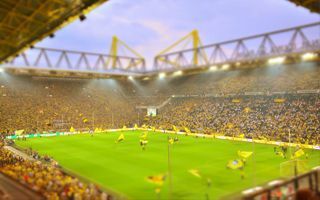 Though the Westphalia club recorded significant profits last year, in the 2014/15 season it will become the first Bundesliga club to ask over €200 for the cheapest season ticket. 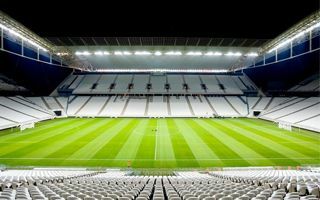 While contractors were rebuilding the man structure of Governors Stadium in Clarksville, Tennessee, a sinkhole began growing near the corner of the football field. 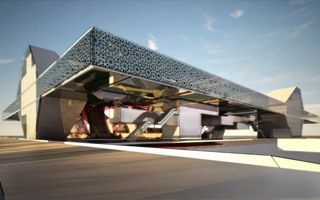 Small at the start, now it could fit a bus. 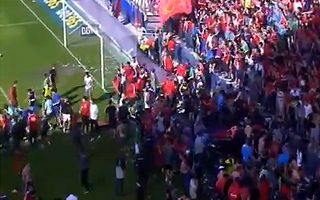 During today’s La Lige closing at Estadio El Sadar a barrier collapsed, causing a surge in the celebrating crowd. 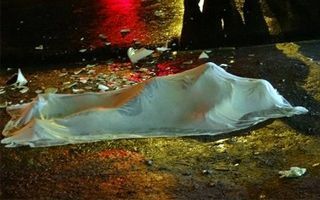 25 people were treated for injuries, but only 5 need hospitalization. 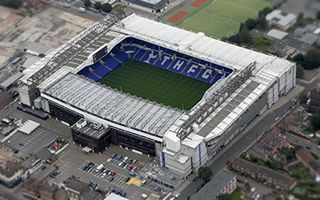 Initially planned as a phased development allowing the use of White Hart Lane, Tottenham’s new stadium may force a relocation for the club. 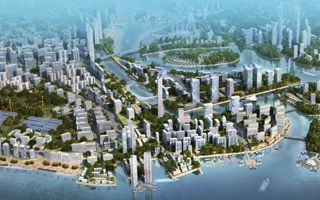 Three potential temporary homes were named. 17.05.2014 Turkey: Football to the rescue in Soma? 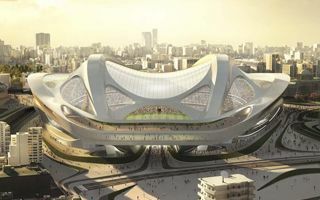 After the mining catastrophe Turkish football authorities decided to aid those most affected in several ways. 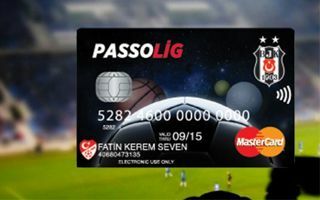 Special funds will be transferred, while the Supercup game is going to be played in Manisa. 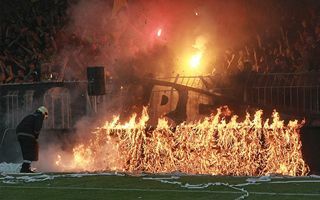 During yesterday’s Bulgarian Cup final several small fires were caused by hooligans and… firemen. Flames took electronic advertising system as paper streamers took the flame from flares. 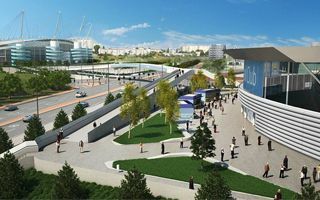 Works were launched in March, are due to end in early June. 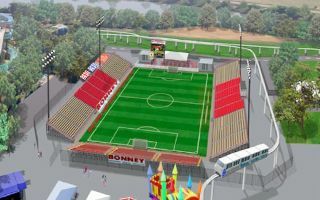 The new home of Sacramento Republic FC will offer much… less seats than needed, but will be a very cheap one as well. 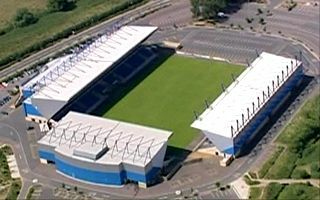 Oxford United fans were the very first in England to achieve a ‘community asset’ status for their stadium. This means the owner cannot sell it without their knowledge. He tried to protest, but has now been rejected. 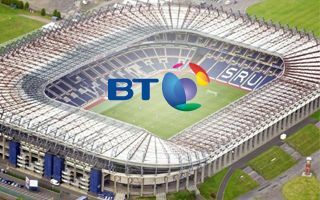 They’ve been playing at their current ground since the nineteenth century. Efforts to relocate already date back 20 years. 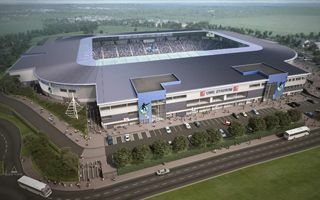 No wonder Grimsby Town supporters are now mobilizing to gain support for this project. 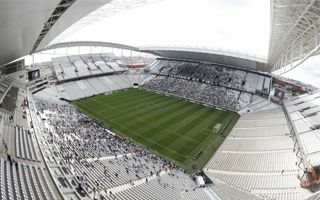 Supporters of South America’s richest club, Corinthians, are getting ready for their first league game at Arena Corinthians. 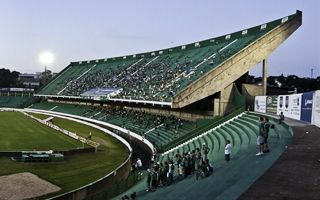 Ticket prices went up by 40% and the club attempts to educate fans about the importance of taking the right seat. 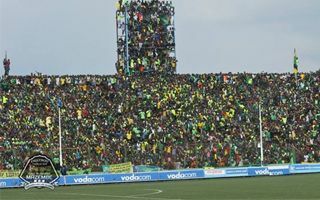 Huge popularity of the derby clash between ASV Club and TP Mazembe worked against people yesterday, as thousands tried to flee the stadium after dramatic police response to violence. At least 15 people were killed. Mick Doherty found in a painful way that the institution of ‘club banning order’ is controversial. 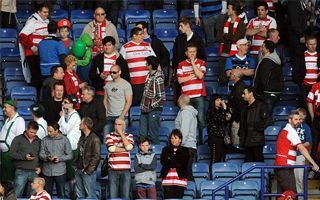 Police suggested his club to ban him, even though charges against Mick were unrelated to any football game. And the last 8th one will come next Sunday. 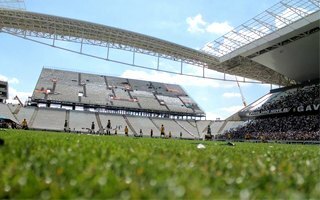 Yesterday Corinthians fans watched 6 exhibition games with roughly a quarter of all capacity available to supporters. 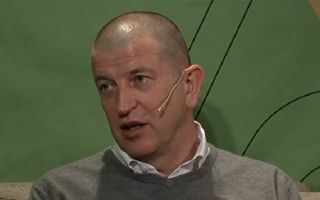 Safety expert Prof. Clifford Stott gave an interview to DIF TV, the club television of Djurgården IF. An interview that we had to republish and you have to watch and/or read! 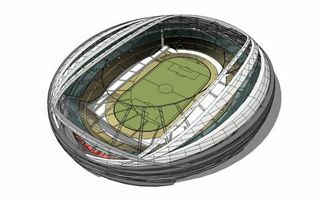 10.05.2014 Germany: Stadium in Mainz to be… rebuilt in Saarbrücken?! 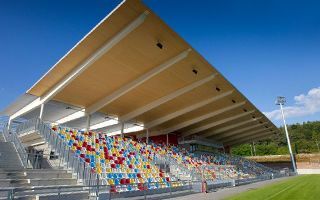 Building brand new stands may be too expensive, so how about building ones that have already been built? 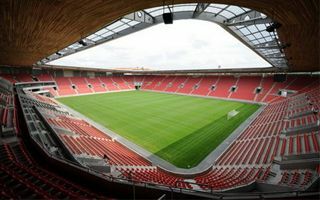 Two obsolete stands from Mainz may be used again as part of a new stadium 150km south. 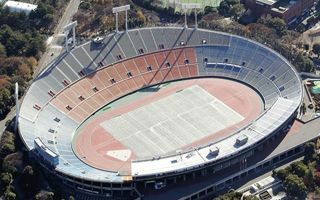 As part of the farewell to Japan’s old national stadium some elements will be reused in other venues across the country. The remainder may be converted to souvenirs distributed among fans, according to Yomiuri Shinbun. 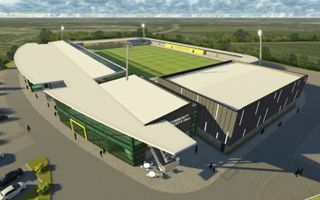 Private development of the new Boston football stadium is one step closer as the planning application was filed on Friday. 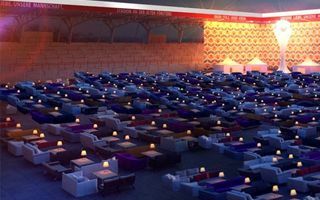 After public consultation the stadium will also be equipped with an indoor arena. 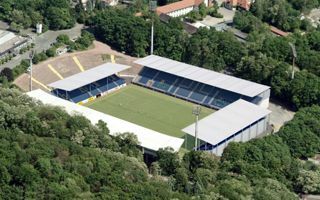 09.05.2014 Germany: Two stands in Chemnitz ready already next season? 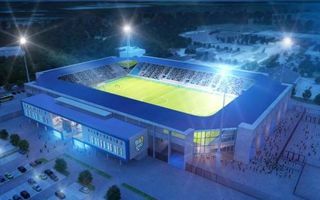 The latest stadium growing in Saxony is progressing decently, but supporters of the 3rd league Chemnitzer FC had to wait years to see it happen. 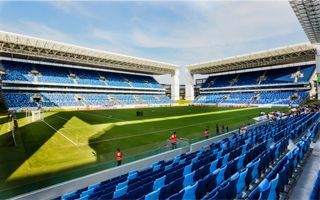 Next season they’ll be able to use two terraces of the new structure. Amazing number of 7,000 people took their last trip to Kokuritsu Kyōgijō on Sunday. 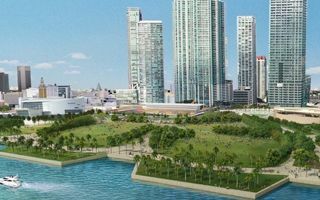 The giant built in 1958 will soon be leveled to make way for a newer, greater one. 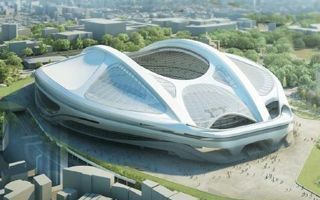 The-Japan-News.com report. 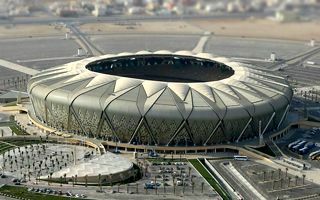 The Supreme Committee awarded first contract for Al-Wakrah Stadium. 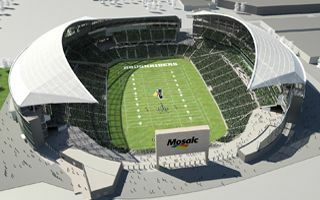 Preparatory works on site should allow cornerstone mounting in September and actual construction at year end. 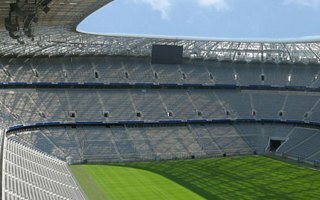 Europe’s most expensive stadium is still repaying the inflated construction price. 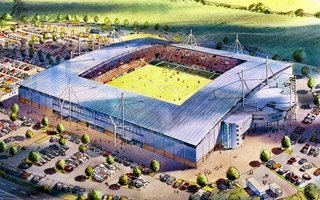 Bank loans made the stadium lose £7.2 million last year, arguably better than in 2012. ThisIsMoney.co.uk report. 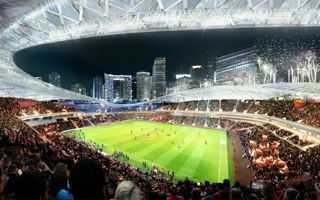 05.05.2014 Florida: Tax rebate for Orlando and Miami stadiums? 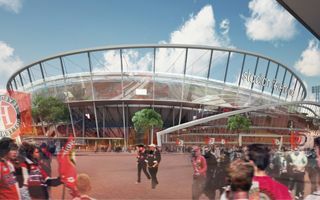 It’s considered a step forward for the planned MLS stadia, but newest bill by the state of Florida may not boost the projects as much as expected. 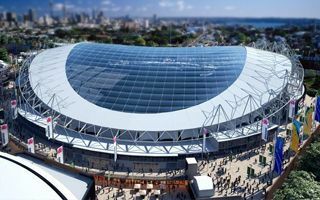 In short, all new stadiums priced at over $100 million may count on up to $3 million in tax rebate. 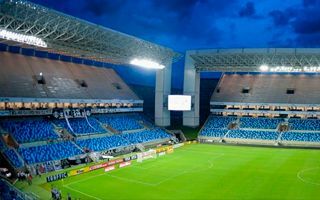 A tragic act of violence unfolded on Friday night, after Santa Cruz tied 1:1 with Parana in the second league of Brazil. 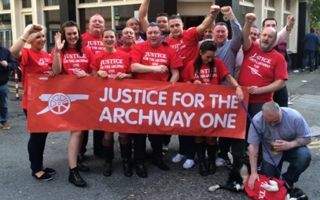 Away supporters were attacked with various projectiles, one of which killed a 26-year-old fan. 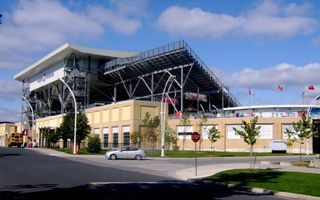 Over 90,000 people participated in largest events here. 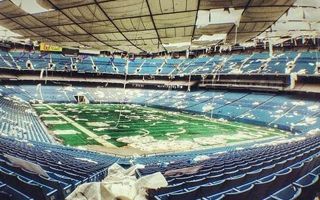 John Paul II, Nelson Mandela, Madonna, 1994 World Cup, 1982 Super Bowl – the list goes on and on. 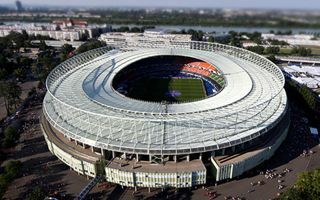 Until it ends in 2010, since when the stadium has been abandoned and falling into despair. Now most of it will be auctioned. 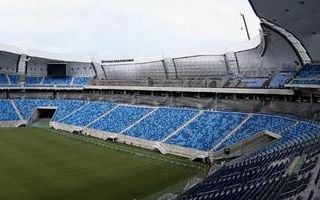 In 2012 one stand was opened. 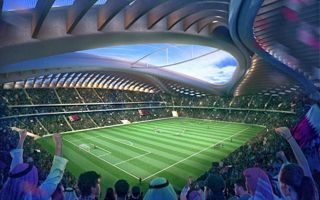 Soon afterwards plan was drawn for additional two and as a result UEFA-compliant national stadium. 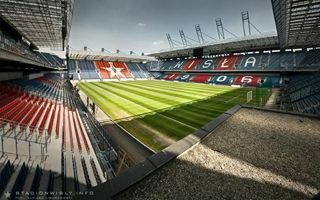 The plan fell through, but it’s still arguably the best stadium in Luxembourg. 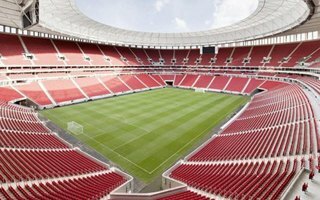 Despite a sad accident last week, the newest stadium in Hungary was opened along plan yesterday, welcoming thousands of citizens both inside and to the park created around it.